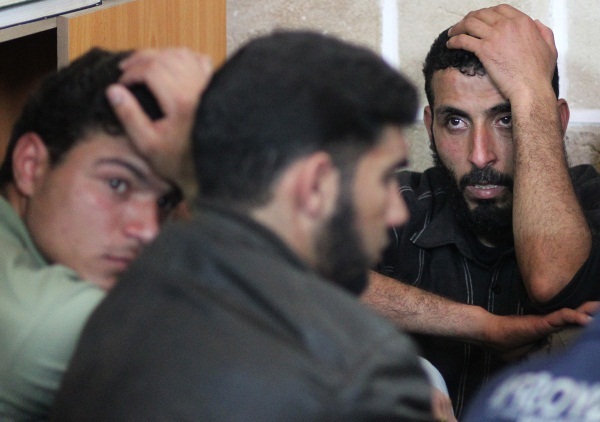 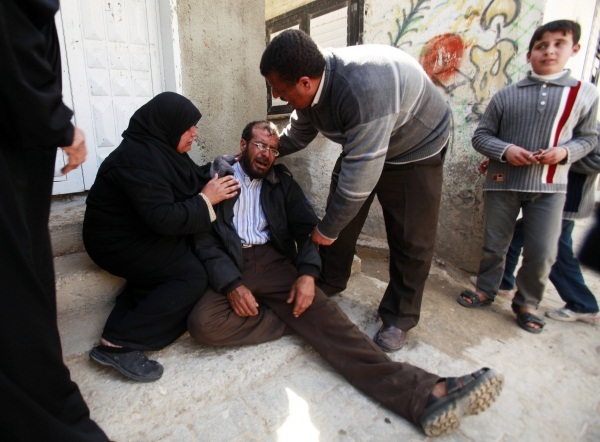 Reuters photographs show aftermath of IAF Gaza strikes: shock and mourning in Gaza. 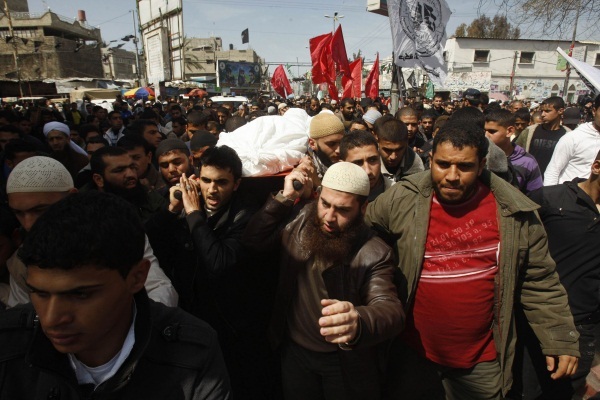 Acting on intelligence regarding an imminent terror attack on Highway 12, the IAF killed Zuheir al-Qaisi, the leader of the organization responsible -- the Popular Resistance Committees (PRC) Friday. 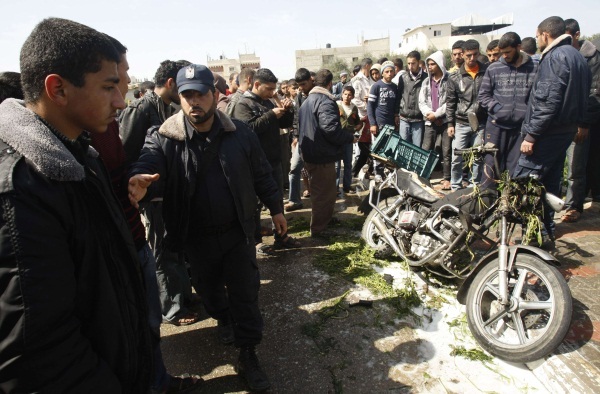 Gaza terrorists responded with over 100 rockets fired at Israeli population centers on Friday and Saturday, and the IAF carried out yet more targeted killings of terrorists. 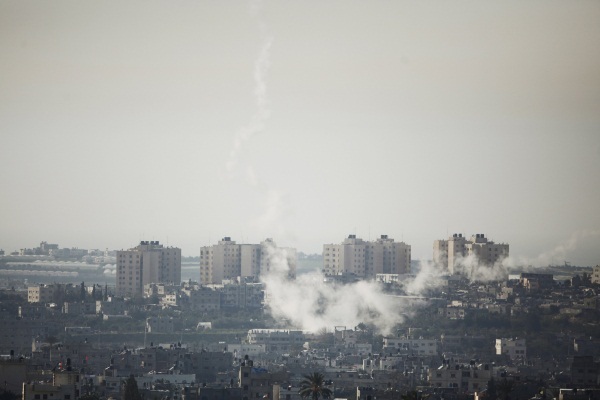 Smoke billowing from Gaza rocket launches. 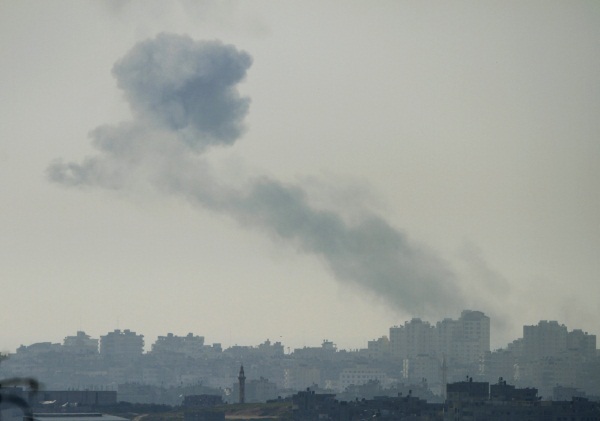 Smoke from IAF strike on Gaza. 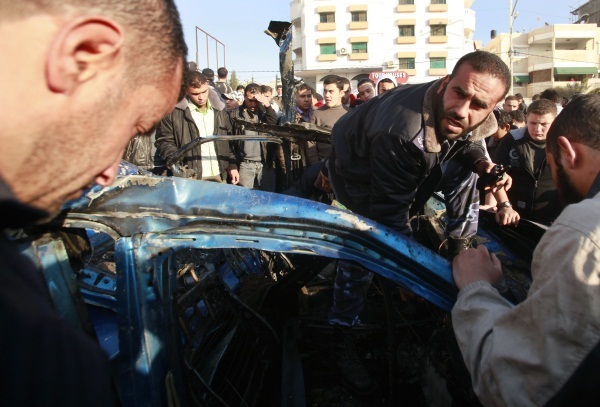 Relative of a dead terrorist. 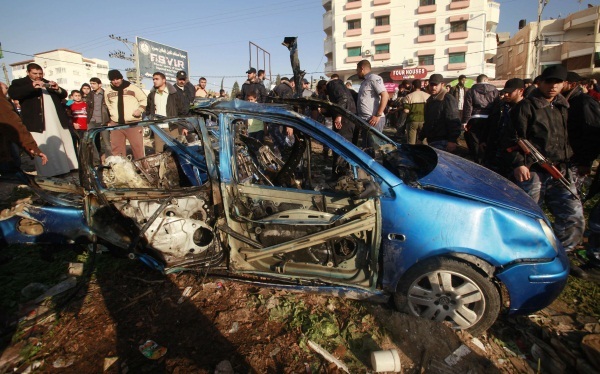 Vehicle in which al-Qaisi was killed.